Jonishan have the ability to install pre-engineered packaged pumping systems or custom designed systems. 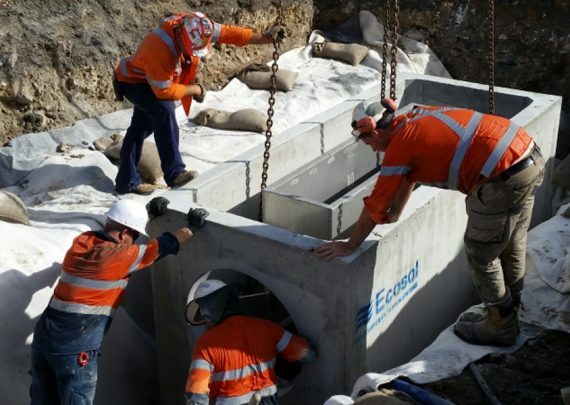 We have experience in installing temporary pump stations and decommissioning of pump stations. Installation of IOP’s (Interim Operating Pumping Stations) is a specialist service Jonishan are proficient at. 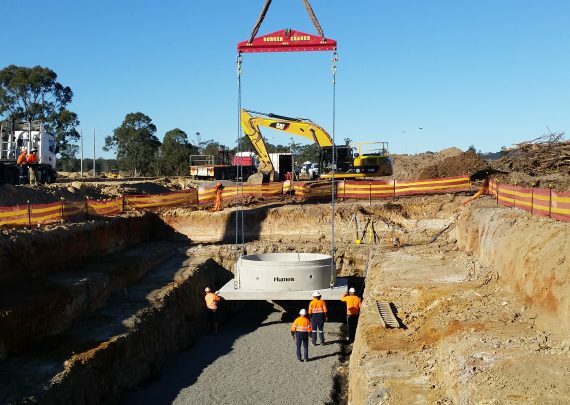 For pump station projects, Jonishan can install the pump out facilities and manage the associated electrical works for control panel installation. 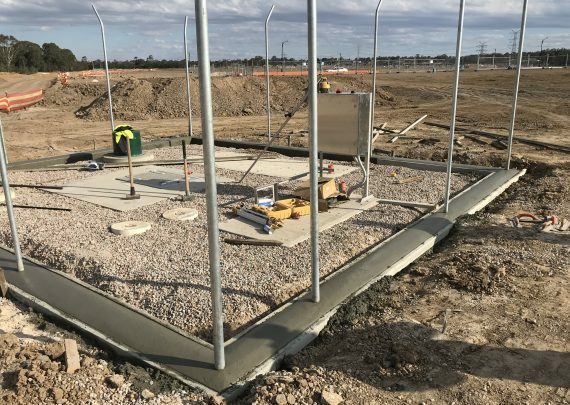 A project at a new development site in Willowdale, East Leppington involved the installation of 5 inline storage tanks with pump out facilities, monitored by an electronic control panel linked to switches with telemetry for monitoring and warning. Installation included a sewer overflow system, customized grates, access hatches and a discharge headwall. Jonishan also constructed roads to suit tankers to the pump station. Complex installations of IOP’s for both water or wastewater is something Jonishan is skilled in. 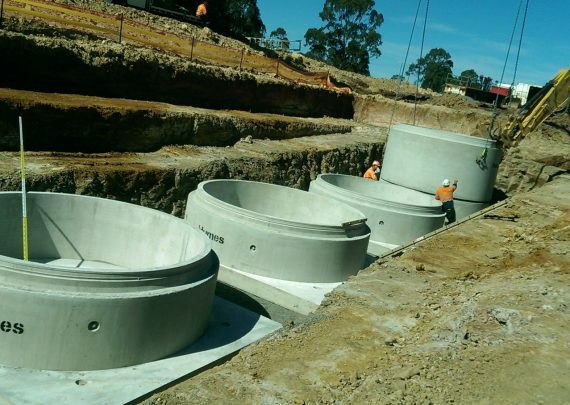 Prior to installations, erosion and sediment controls are put in place. 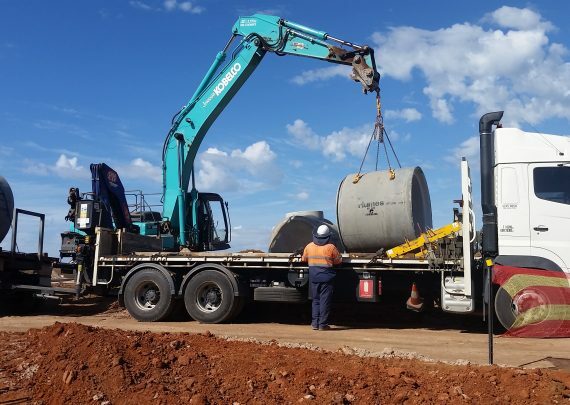 We then supply and install pump wells, collection chambers, submersible pumps, pump controllers, valve chambers, grates, lids and fittings before wiring to incoming power supply. 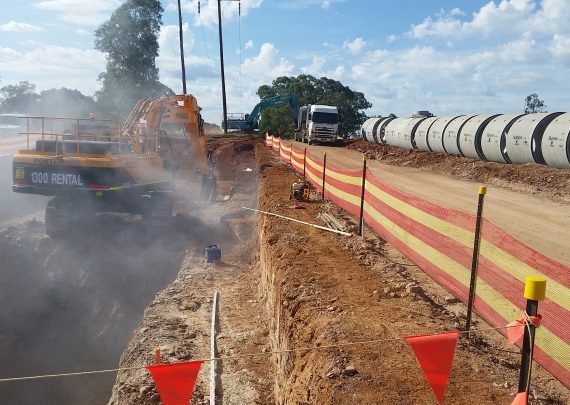 IOP feed lines and discharge lines are installed as well as emergency suction pipework.